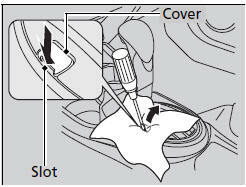 ► Put the tip of the flat-tip screwdriver into the slot and remove it as shown in the image. ► The lock is now released. 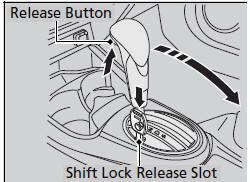 Have the shift lever checked by a dealer as soon as possible.